Tropical Rainstorm Pilar is expected to raise the risk for flooding downpours across western Mexico into Tuesday. Pilar became a tropical storm Saturday night before weakening into a tropical rainstorm on Monday afternoon. The slow-moving storm will continue to stream downpours onto the western coast of Mexico enhancing the threat for flooding and mudslides. 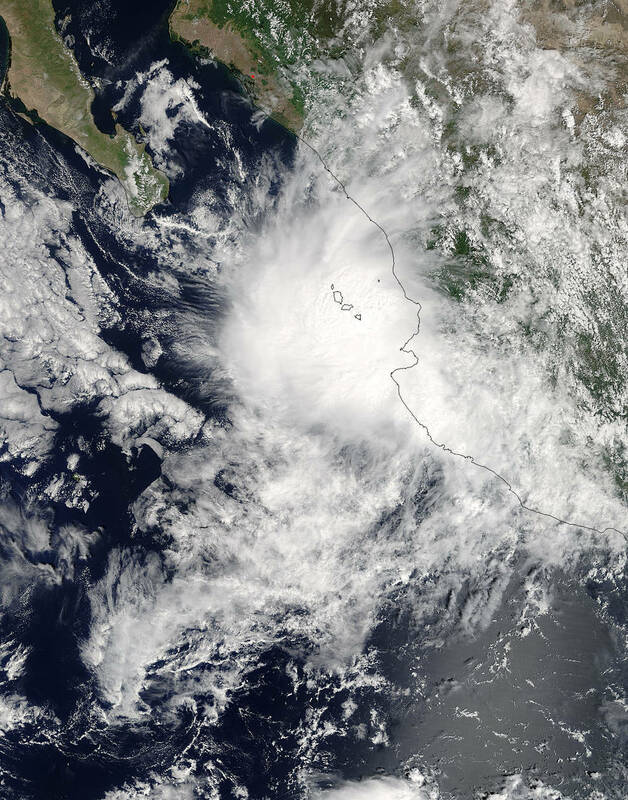 "The slow-moving nature of this system will bring rainfall totals of 100 to 200 mm (3 to 6 inches) to many places from western Jalisco to Sinaloa and western Durango," AccuWeather Meteorologist Eric Leister said. Incidents of life-threatening flash flooding and mudslides are expected. The downpours may also lead to travel delays and disruptions to vacation plans in Puerto Vallarta, Mazatlan and other popular tourist locations in the region. "Up to 300 mm (12 inches) may inundate western Nayarit, southern Sinaloa, and southwestern Durango further threatening lives and property," added Leister. Rough seas churned up by Pilar will also create dangers for swimmers and operators of small craft. Swimmers are urged to heed all beach closures, warnings or statements that get issued. Coastal areas of Nayarit and southern Sinaloa may also face sporadic power outages as wind gusts to 65 km/h (40 mph) are expected. By midweek, Pilar is expected to gradually dissipate as it either moves into mainland Mexico or is shred apart by strong shear over the Gulf of California. "Although Pilar will not directly impact the United States, as the storm moves northward, its tropical moisture will be drawn northward across northern Mexico and eventually into portions of the south-central United States, including Texas," AccuWeather Senior Meteorologist Dan Pydynowski said. That threatens to result in heavy rainfall and flash flooding through at least Thursday.